Diamond stud earrings from August Stephenson always make a statement. Our stock includes a large selection of Round and Princess Cut Diamond Studs from 1/4ct to 6ct total weight and larger. 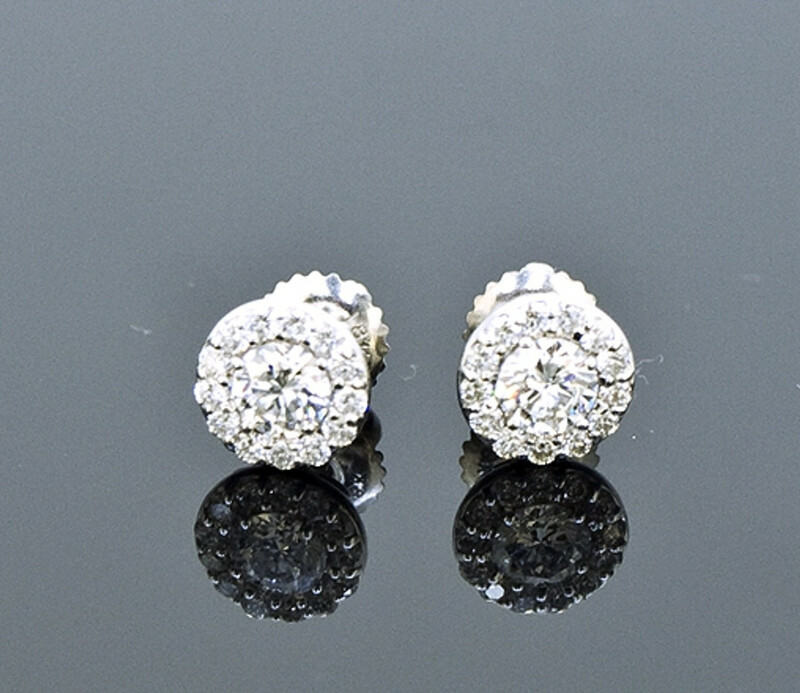 Be sure to check out our exclusive "Martini" Diamond Stud settings. A fabulous design set in 18k White Gold that is sure to dazzle any ears. Although we do not display any online, we always have a large selection of diamond stud earrings in stock in the showroom. Please come in today, or feel free to call to inquire any time.